This is just about my favorite way to eat strawberries. Although isn’t “macerated” a really horrible word? 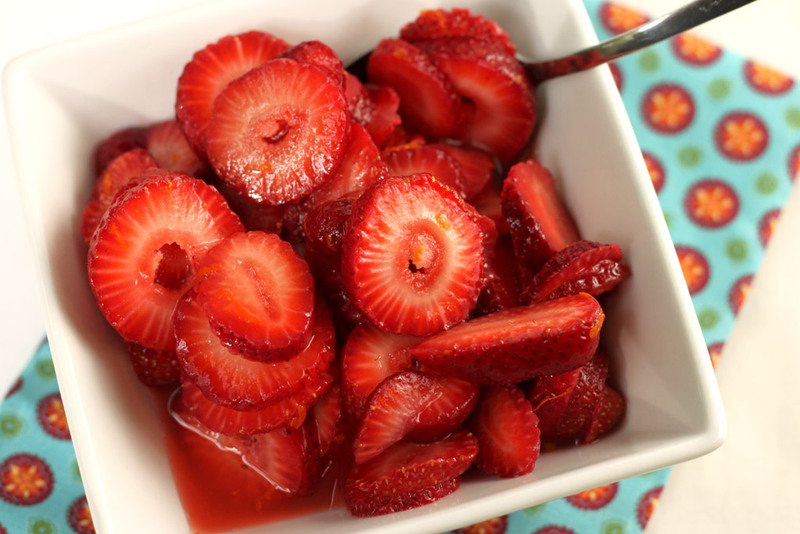 Macerated strawberries. It just doesn’t sound very appetizing when you put it that way. Sweetened strawberries? Sugared strawberries? I don’t know, anything is better than macerated. I made these to put on top of my Chocolate Angel Food Cake. It’s my new favorite cake!